At Advantage TeleMessaging, Inc. we believe one size doesn't fit all. We customize every setup based on our clients' needs and requirements. You are NEVER locked into a contract with us so if we need to adjust your rate plan, increase or decrease, we simply change it so you are on the price point that makes the most sense, financially. Contact us today for a personalized quote. Our two-way, HIPAA & HITECH-compliant direct messaging application for smartphones and tablets will allow you to receive your answering service messages on iOS, Android and BlackBerry devices. This is the perfect solution for Home Care staff and skilled nurses. Already using a Secure Messaging solution? Chances are we can integrate! Whether you don't have the budget for a full-time receptionist, your call volume is so high you are having trouble keeping up or you are just trying to cut costs and relieve some HR headaches, Advantage TeleMessaging, Inc.'s Virtual Receptionist is just what you're looking for! Virtual Receptionist allows our award-winning agents to either take ALL of your daytime calls, or if you'd prefer, we can support your staff by only taking your overflow calls. No matter which option you choose, it affords your staff the luxury of focusing on what really matters... your organization! This ensures that you will never miss an opportunity, while at the same time enabling your staff to stay on top of their duties without sacrificing the efficiency of your business operations. Streamline your On Call calendar with IntelliSite. In just a few clicks you can view your calendar, put people on call and even make on-the-fly changes that are all updated on our system in real time. Log into our IntelliSite to view your messages, email them to others or even print them out. You can even maintain contact information for your on call personnel and post information or temporary instructions for our staff. Our cloud-based Appointment Scheduler & Reminder solution, provides a professional booking system that allows you to concentrate on your business and customers. Using Appointment Scheduler we can schedule your appointments quickly and easily. Appointment Scheduler can be accessed 24/7 from your computer or mobile device to check your bookings, change your availability or make bookings for yourself. 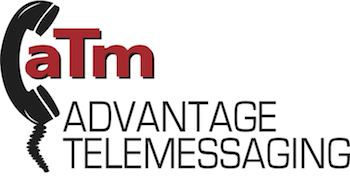 Advantage TeleMessaging, Inc.'s new Automated Services are an enterprise-class suite of automated solutions designed to help increase efficiency within your practice. Our HIPAA/HITECH-compliant notification system can automatically contact your clients and customers for a variety of relevant notifications via phone, e-mail or text message. Text Messaging is the most popular and convenient way to communicate short messages. With our messaging system we can deliver messages to multiple devices simultaneously. Confirm receipt of messages easily by simply replying to the message received. We understand that many service companies, hospitals, medical centers, after-hour support and emergency calls for doctors, clinicians, and first responders rely on pagers for true around-the-clock availability. With our Paging Service, patients, customers and business associates can call a specific telephone number at their convenience and give their message to a live agent.